that will make you smile. It does me everytime I see it. 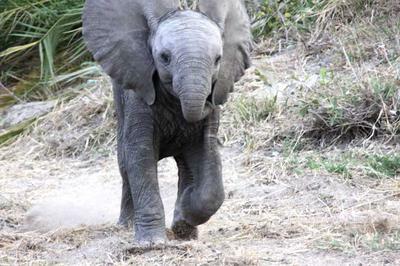 I'm sure he will grow up to be one of those ellies that terrorize park visitors! 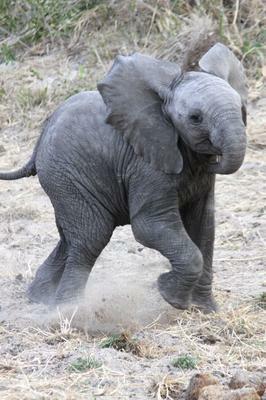 Hi Bob, thanks for sharing your pics and lovely video of baby ellie at full charge. I just love these little guys - they have such character and I enjoy watching them play. Join in and write your own page! It's easy to do. How? Simply click here to return to Share Your interesting Kruger stories with us! . 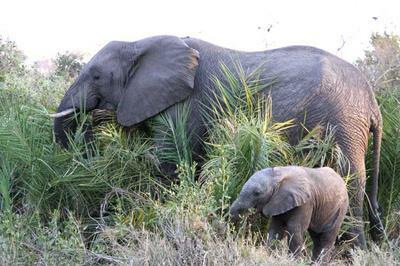 Photo Safaris on a Private Vehicle - just You, the guide & the animals!